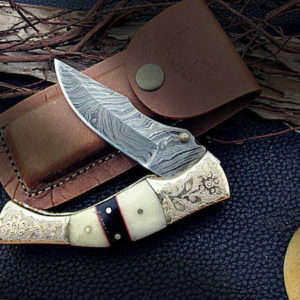 We ship via Priority Mail, receive within 2-3 days maximum depending on zip code location. 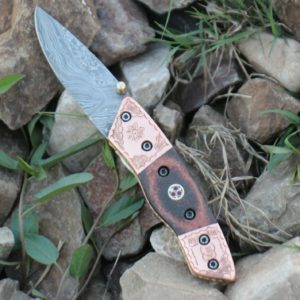 * This Popular ITEM IS SOLD OUT Accepting Orders will ship 6-8 weeks from Order Date. 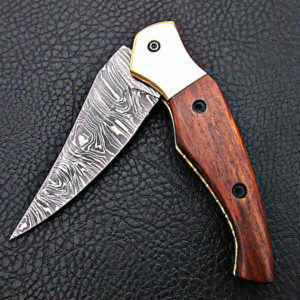 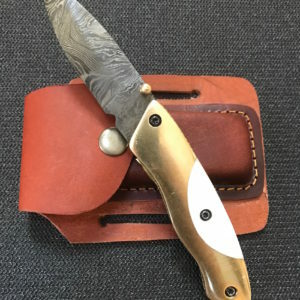 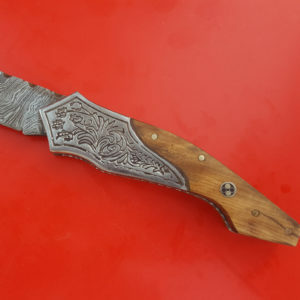 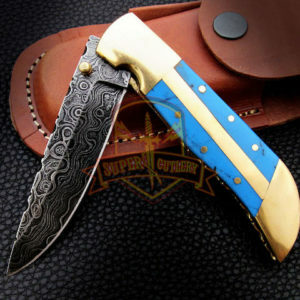 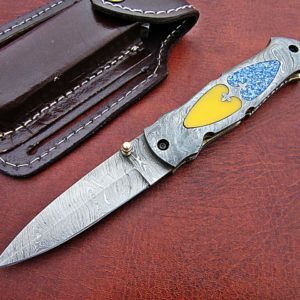 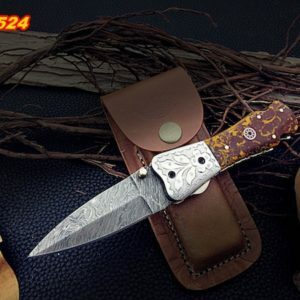 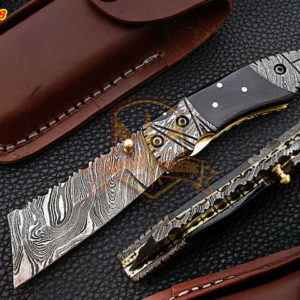 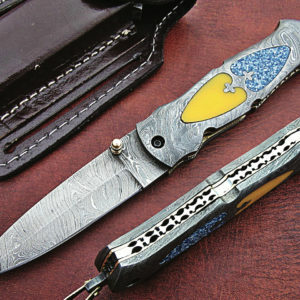 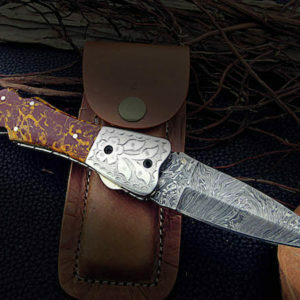 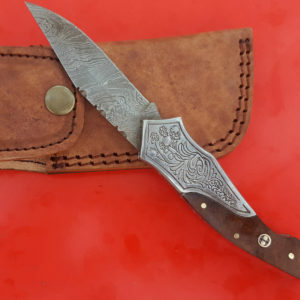 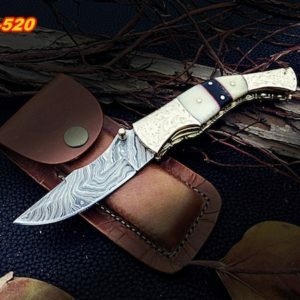 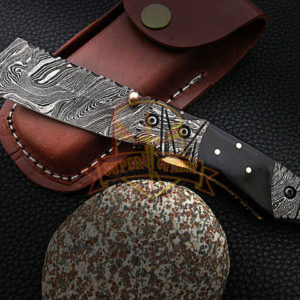 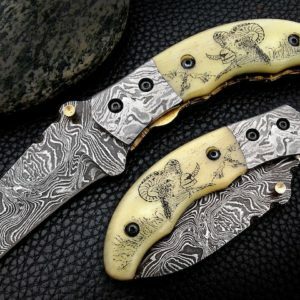 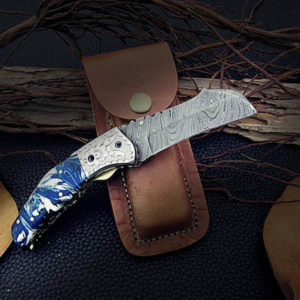 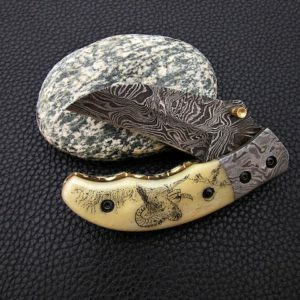 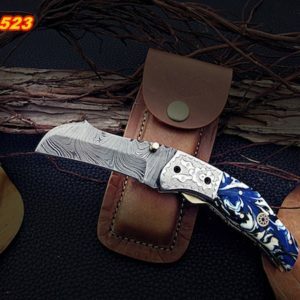 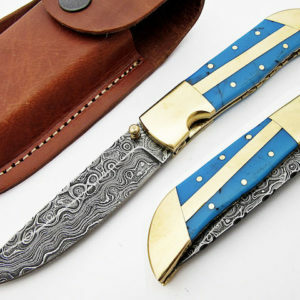 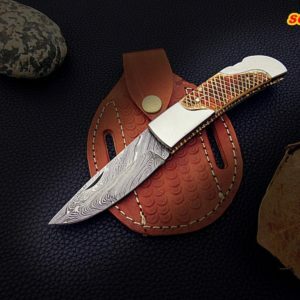 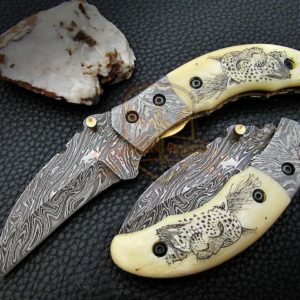 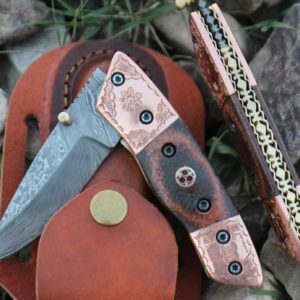 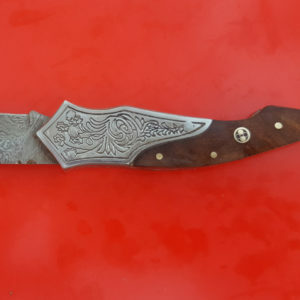 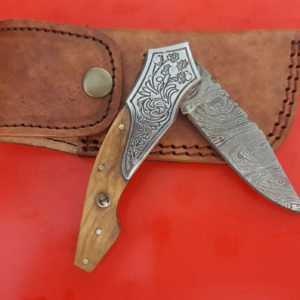 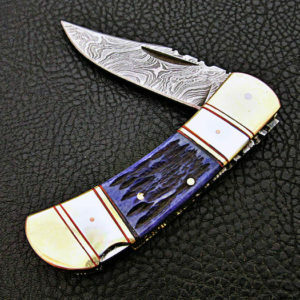 Materials; Damascus steel, leather sheath, Damascus knife, hand forged steel, folding knife, colored bon handle, screws, under lock, pocket folding knife, gifting knife, compact folding knife, folding knife, use as everyday knife, great as a gift.